Shannon Rose & the Thorns previously celebrated the seasons on the double album Seasons, and now they're paying tribute to the most festive time of year with the digital single "North Star." The song is a vintage-flavoured folk waltz, complete with sleigh bells and Christmassy lyrics. 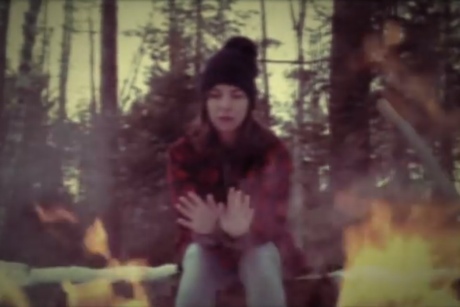 The accompanying video has a similar retro flair, and we see a snowy day of wood chopping followed by a warm drink in front of a campfire in the forest with a special someone. Watch the clip below, or download it in exchange for an optional donation. Shannon Rose & the Thorns are performing on December 27 at Wakefield, QC's Black Sheep Inn with Wind & the Wild. They are currently working on an album, which is due out in 2014.